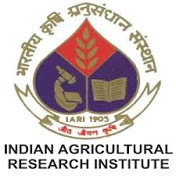 1) One Research Associate post for Council of Scientific and Industrial Research (CSIR) sponsored project on “Sensors of Heat Stress: Exploring Mitogen-Activated Protein Kinase Genes and Dissecting their Role in Thermotolerance of Wheat (Triticum aestivum L.)”. 2) One Young Professional-II post for the ICAR sponsored 12th Plan CABin Project on "Exploring Gene Regulatory Networks involved in Heat Stress Responses of Sources and Sink for Development of Climate Smart Wheat”. 3) One Junior/Senior Research Fellow for the SERB, DST funded project on “Exploring Heatstable Rubsico activase from cereals for augmenting the activity of Rubisco in wheat (Triticum aestivum L.) under the heat stress”. Essential qualifications: Ph.D. with specialization in Plant Biochemistry/ Plant Molecular Biology and Biotechnology or having 3 years of research experience after M.Tech. Desirable: Experience in molecular biology and biochemical techniques with minimum two publications in peer reviewed journals. Rs. 25000 per month fixed (as per ICAR norms). Essential qualifications: Master’s degree in Agril. Biochemistry, Genetics/Plant breeding / Biotechnology/ Plant Molecular Biology/ Botany/ Plant Physiology/ Bioinformatics/Equivalent degree. Essential: M. Sc. with specialization in Plant Biochemistry/ Plant Molecular Biology and Biotechnology, NET/GATE qualified.